The Whitby range fits perfectly with Laura Ashley’s signature coastal style – its classic shaker kitchen style is simple, yet elegant. Whitby showcases the best of shaker kitchen design which is ideal for making the kitchen the heart of the home. 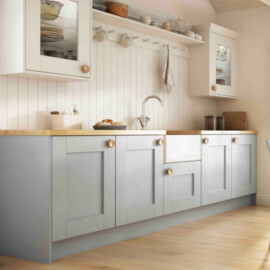 Classically British in style, Whitby is one of the exclusive ranges from the Laura Ashley Kitchen Collection. 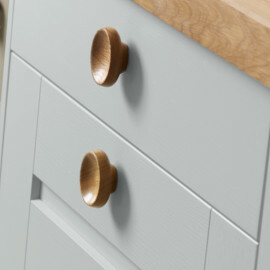 Shown here in Cooks Blue and Chalk White, this kitchen features a retro style oak knob handle. 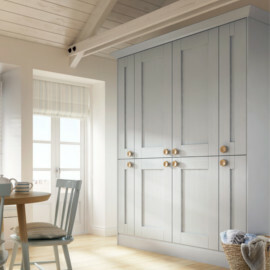 Available in 17 hand-painted colours, Whitby is a stunning shaker kitchen which offers timeless styling. Recreate the look: Simplicity and retro styling is key when designing with our Whitby kitchen range. Use simple shapes and fresh colours of blue and white to recreate a coastal theme and reminisce back to your childhood seaside retreats. 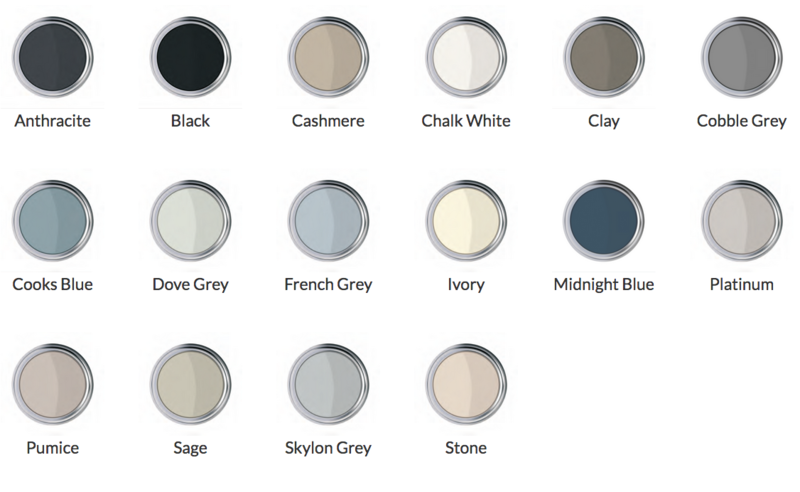 A classic painted shaker design, Whitby is simple yet elegant. This website features the fitted kitchens, Bathrooms and bedrooms service operated by Rhyl based Just Kitchens & Bedrooms. Bedroom, Bathroom, and kitchen design and fitting is carried out throughout North Wales, Deeside, Cheshire and the North West including Rhyl, Llandudno, Colwyn Bay, Conwy, Anglesey, through to Abergele, Holywell and Betws y Coed. The website gives information on kitchen, fitted bathroom, or bedroom design right through to installation. From fitted wardrobes, fully fitted kitchens, to sink units, taps, appliances, or baths, here at Just Kitchens and Bedrooms, we have it all.